During my pregnancy, I struggled majorly with body image throughout. I posted about it various times, but could never quite explain the effect it had on me. I hated my pregnancy, but had none of the symptoms that would normally make a pregnancy difficult, I just hated the changes my body went through. It wasn’t just the way my body looked - I knew that part was necessary, weight gain and adaptation is a large part of pregnancy, but I’ve never felt so unfit or unhealthy as I was during the last trimester. I've always been very active, and I've always been on some sort of diet, and I suppose as a result, I'd always been pretty small. At the time, I'd never have thought so, but I look back now and can't help but wonder how I thought I was fat, or big, or chunky, or any of the other words I'd use constantly to describe my body. Following my pregnancy, I gained exactly 3 stone/42lbs/19kg depending on how you work it. I'd say that's probably a normal amount for pregnancy, but it definitely wasn't a normal amount for me, and it's not an amount I was comfortable with. I guess it's just my selfishness coming out, which is obviously a trait that does not go hand in hand with motherhood, but I resented gaining it, and the sooner I lose it, the better I'll feel. So many mums must be reading this post rolling their eyes, and if your one of them, I don't blame you for a second. If fitness and body image wasn't a priority before you fell pregnant, it sure as hell shouldn't be one once you have a child. Your baby is your priority, and I don't dispute that for a second, I'm cherishing every moment I have in these newborn days, as they won't be here forever, and I don't want to look back and regret wishing away the first few months so I could have my pre-baby body back. In the long run, a little extra chub here and there won't matter. What does matter though, is my mental state - *cue eye rolls*. Again, if you've never loved the gym, or enjoyed eating healthy and feeling fit, then me attributing my mental state to it will sound ridiculous: pizza can make you happy too after all? I learned my lesson during pregnancy that I get a lot of enjoyment out of the goal setting and motivational aspect of a healthy lifestyle, without it, I easily feel down, lethargic, lazy even, and that's something I don't think is healthy for your mind at all. Which brings me to The Bounce Back. I've lost count of how many times someone has said to me that I'll bounce straight back from pregnancy. I'd assume they all mean my body and my weight - that's generally what everyone thinks matters when it comes to health and fitness. I will Bounce Back, yes, but I don't just want to bother about the scales, at least not for the first while. 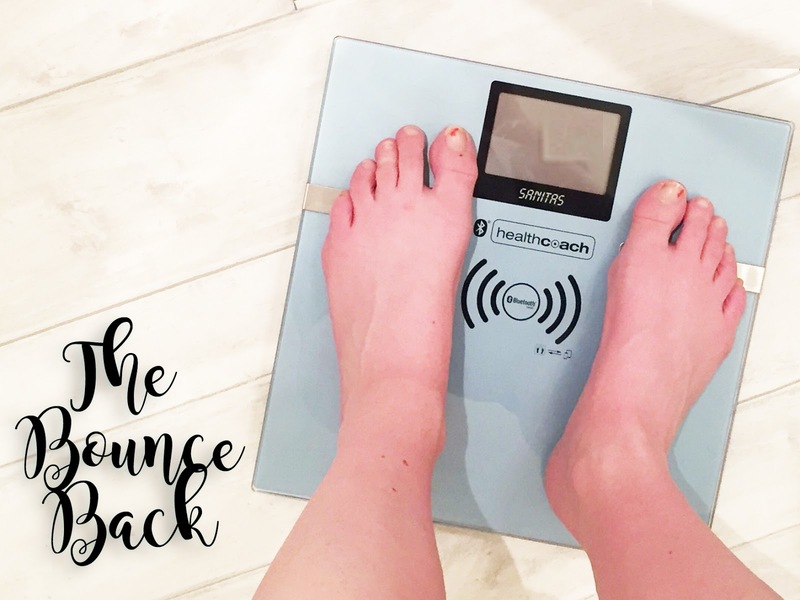 I'll be starting my Bounce Back series immediately - but I want to use it to get myself back into healthy habits that I can maintain with a baby, and that don't take away from him at all, rather than rapidly lose baby weight in a quick ditch attempt to feel better about myself. A lot of people will probably say its too early, but those people have probably never loved working out, or the challenge of getting stronger. I miss making progress with my strength, and seeing changes in my body from it. I miss feeing healthy and fit. I love being Harrison's mum, but there's no reason I can't be a fit mum too. I'll be posting twice a week for the next 6 weeks - up until Christmas - Tuesdays and Sundays, with Sunday being a bit of a catch-up/progress round off for the week. Tracking Twenty was a fitness blog prior to my pregnancy, and I do intend on including a lot of that back into it in the coming months, but most of this initial series will focus on the baby steps, rather than my full programming, given that labour is traumatic, and I am still recovering essentially. The progress pictures will be included when I feel comfortable, but I'm hoping that I'll gain more out of this initial return to a healthy lifestyle than just a change in my body. It's all about healthy mindset and sustainable habits, and I'd truly love for some of you to join me on my journey, it is so much easier when you are not doing it alone. I can't help but hate to look at before pictures, but the reality is that my body has done a wonderful thing and I have a beautiful child to show for it. For Week 0 of The Bounce Back, weight is irrelevant, so I'll leave that out. I've lost 28lbs since Harrison was born, and I have 15lbs left to go until my pre-baby weight. I'm not sure if I'll quite manage that in 6 weeks, but at least I'm getting back to it. This is my starting point. The end of my healthy pregnancy, the start of a new healthy beginning. 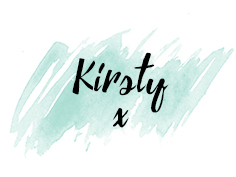 My first proper post will go live on Tuesday, so be sure to check back then, or you can find all of my Bounce Back posts under the Fitness tab at a later date.